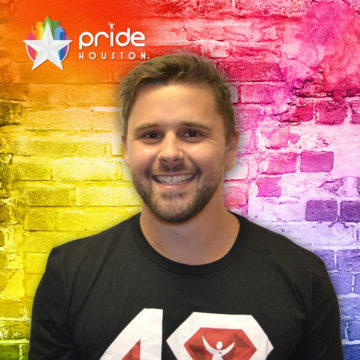 John Boone – Pride Houston, Inc.
“This is my first full year serving with Houston Pride, but have volunteered day-of for the last two. With a background in booking talent and entertainment for the Campus Activities Board for UT-San Antonio, I am now the Entertainment Chair for the Pride festival and overseeing the BaewatchxSalvation Pool Party. I work full time as a travel agent during the week, which has allowed me to travel extensively around the world the last four years and inadvertently attend pride in other countries.